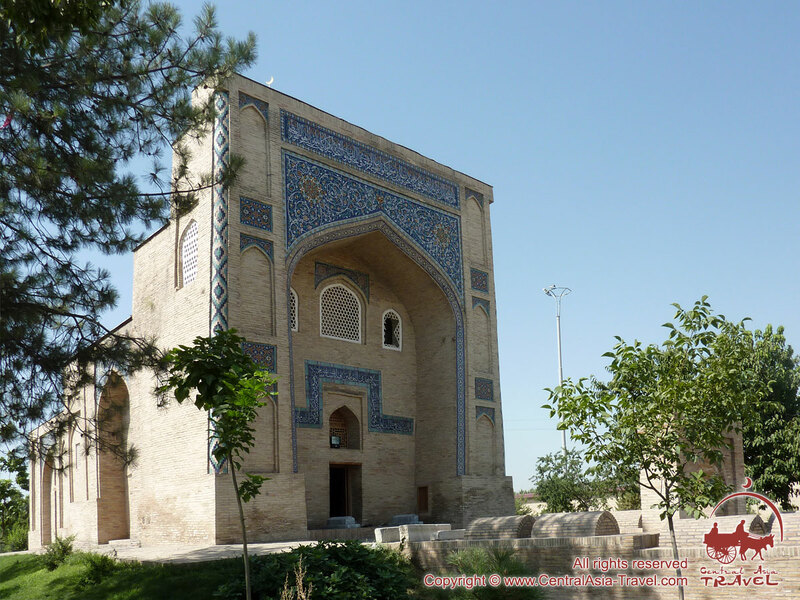 The Mausoleum of Abubakr Kaffal ash-Shashi is one of the most significant cultural and architectural monuments of Tashkent, a part of the historical and architectural complex of Hazrat Imam, located in the old part of the city. 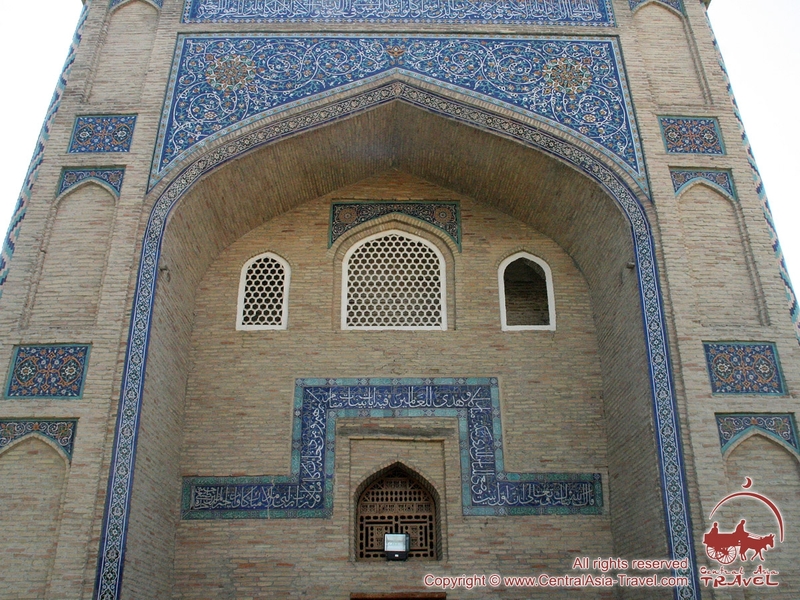 Historically, the architectural ensemble of Hazrat Imam appeared thanks to the Mausoleum of Abubakr Kaffal ash-Shashi, around which there were erected new buildings, for centuries having formed the whole complex. Square and architectural ensemble received the name of Hazrat Imam (‘Holy Imam’) in honor of the famous imam, an expert on the Quran, scholar and preacher Abubakr Kaffal ash-Shashi. The great scholar and theologian, was born in Tashkent, in 903, in the family of a handicraftsman - Kaffal (masters of making skilled locks). The child was named in honor of the companion of the Prophet Muhammad and the first Caliph - Abu Bakr. He got an excellent education in madrassas in Tashkent, and then in Bukhara, Termez and Samarkand. Abubakr was considered as a student and spiritual successor of the famous Muslim theologians and scholars - Imam Al-Bukhari and Muhammad at-Tirmidhi. Deeply devoted to the Muslim religion Abubakr Kaffal ash-Shashi repeatedly carried out Hajj (pilgrimage) to Mecca, traveled to the largest cities of the Muslim world, meeting and debating with the most prominent Muslim scholars of that time. His knowledge of theology was so great, and the authority was so indisputable that in the Arab world, Abubakr was named the Great Imam. Abubakr Kaffal ash-Shashi devoted his life to the spread of Islam and religious education. That is why in 976 after the death of Kaffal ash-Shashi the place where he was buried (in a suburban garden - Bogi-Keykaus, at the fortress wall of Tashkent), was considered to be a saint one. 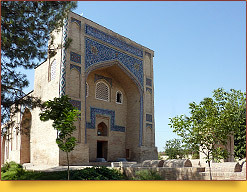 The building of the first Mausoleum of Abubakr Kaffal ash-Shashi built in the X century did not survive. On its place in the middle of the XVI century, built a new mausoleum was built which has been preserved to this day. 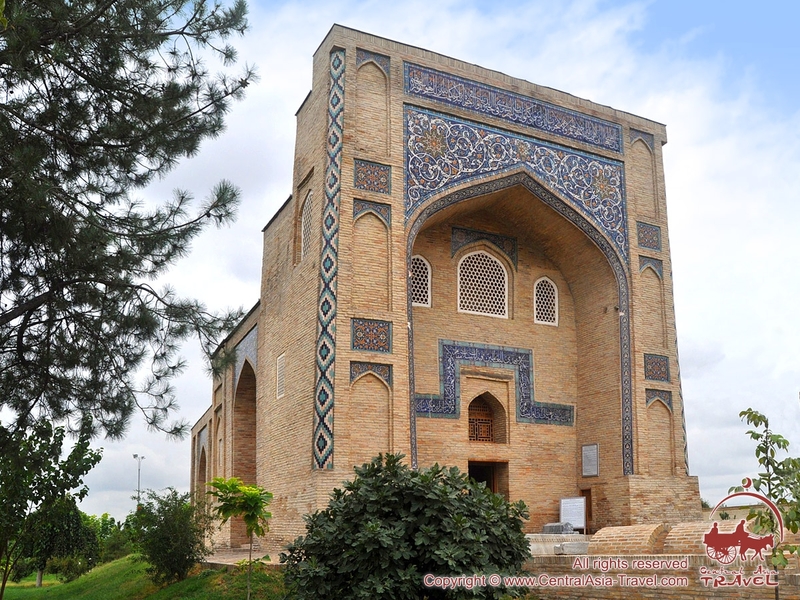 The Mausoleum of Abubakr Kaffal ash-Shashi which became a place of Muslim pilgrimage was built in an unusual architectural style - khanakah (a shelter for dervishes and pilgrims). 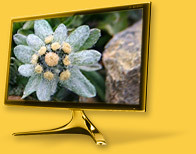 It has quadrangular form and asymmetrical design. In addition, it is located on a high platform, raises the mausoleum above the rest of the buildings. 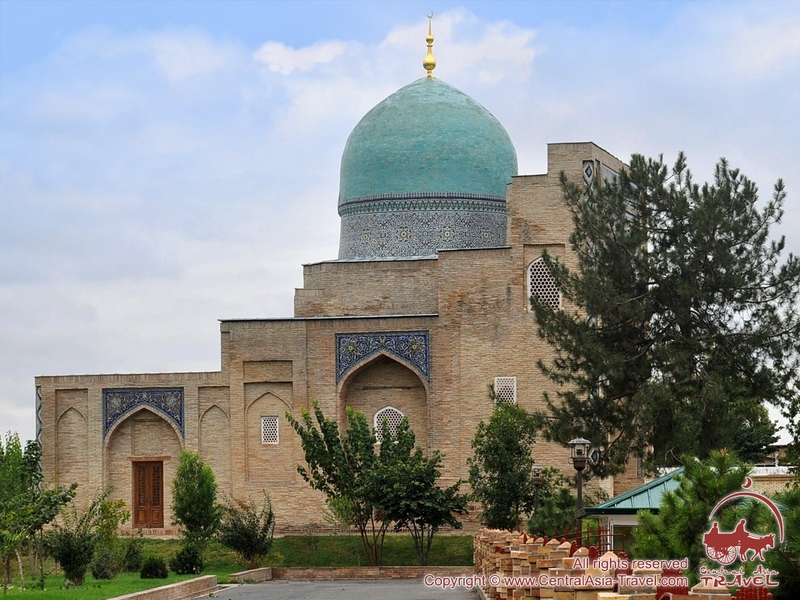 Despite the massiveness, the Mausoleum of Abubakr Kaffal ash-Shashi seems to be heavenward and tall and even slender not only because of the platform, but also because of its crowning dome. 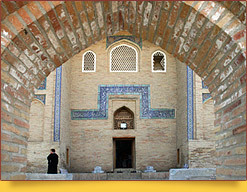 It is interesting that the portal faces to the north, but not in the direction of Mecca, as in most of the mausoleums. 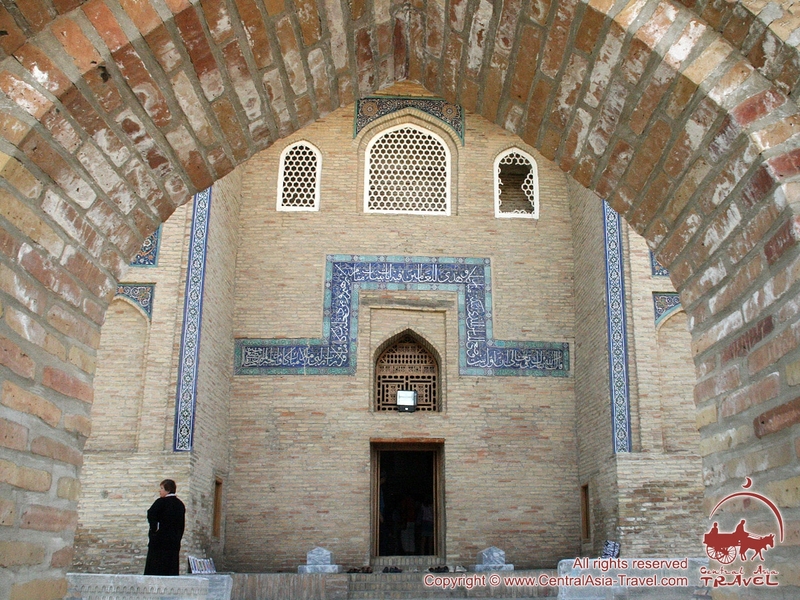 Apart from a large cross-shaped hall, the building of the mausoleum has three tiers of cells (hujras) for pilgrims, located in the corner pylons. In the XVI century, all the Mausoleum of Abubakr Kaffal ash-Shashi was covered with exquisite majolica, today you can see only a few surviving fragments. Some of the inscriptions can be still restored - these are suras of the Koran, they were written in white and gold color. But the inscriptions made ​​in the green cannot be restored - that is information about the construction itself - architects, craftsmen, and goodness of the place where the mausoleum is located. It is here that the oldest preserved pandjara (window grate), which now is 500 years old, as well as skilled doors of the XVI century.